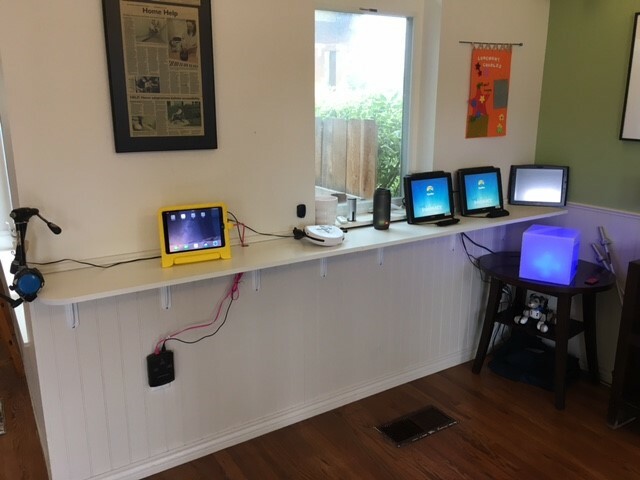 I am happy to report that the good folks at Imagine!’s Charles Family SmartHome have completed the initial install and setup of their first permanent SmartSupports tech station. 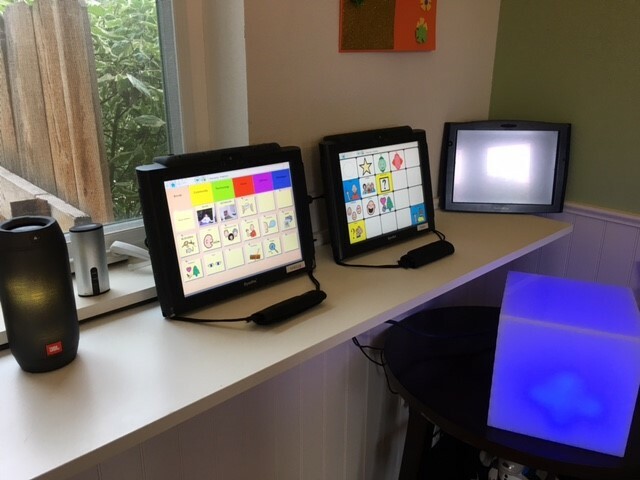 The tech station will be used to support individuals with technology based Individualized Support Services Plans and communication device needs. 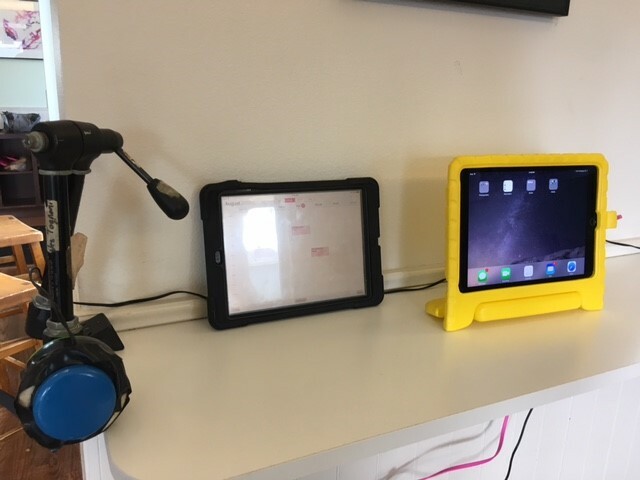 The lab includes a permanent station for Dynovox storage and charging, iPad utilization and skill development, as well as syncing with the SmartHome TV to display and let individuals interact with their house calendars. The SmartHome team have also allocated space for simple switch usage using their PowerLink device and a number of cause and effect tools created by University of Colorado Engineering students over the years.